The video of a Jesus Christ statue opening and closing its eyes has gone viral. Another video that debunked the alleged miracle surfaced. As of 8 a.m. today, the viral video posted by the Adimensional Paranormal channel on YouTube already garnered over 2.7 million views. While some believe that it was a miracle, others said the eerie clip might have been altered. Several viewers asked, "what was their purpose of filming the statue at that time?" Paranormal activity expert Ivan Escamilla refuted rumors that the footage was fake, claiming that more than 20 paranormal specialists, priests, sculptors, video editors, and special effects designers had spent weeks analysing the clip and found no proof it had been doctored, the Mirror reported. 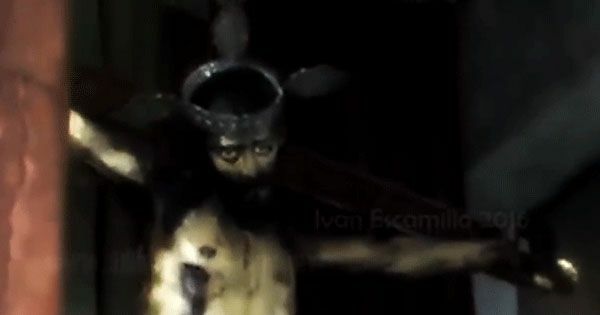 Church officials under the Diocese of Saltillo refused to watch the video, according to the article. Meanwhile, the Australian Phenomena YouTube channel published a video wherein UFO researcher Dylan found evidence of tampering after reviewing the first video frame-by-frame.